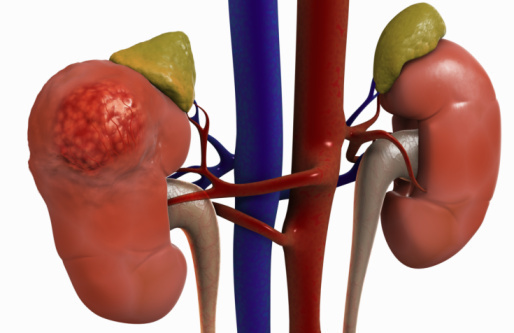 Kidney disease refers to any disease that impairs kidney function. It is the ninth leading cause of death in the United States and is often associated with diabetes and high blood pressure. Kidney function can be hindered by other diseases that may affect the blood vessels, specifically: high blood pressure, artherosclerosis and diabetes. 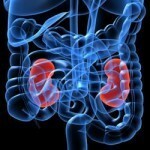 The kidney’s are also susceptible to damage from other diseases and infections within the body. 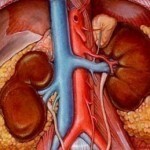 There are over a hundred conditions that can lead to the deterioration of the kidney. The following represents a few of these conditions. It is possible for infections such as Urinary tract infections to spread beyond the urinary tract into the kidney. The kidney can also be infected from other infections in other areas of the body for example a streptococcal infection, a bacterial infection from the heart or a skin infection such as impetigo which can travel through the blood stream and affect the kidneys. If the urinary tract is blocked by a tumour, an enlarged prostate, kidney stone(s) or an expanding uterus during pregnancy this can cause infection within the kidney because or the accumulation of urine that occurs. Glomerular diseases will invade the blood filtering units of the kidneys. Glomerular disease is often the result of diabetes and high blood pressure. Diseases such as these are generally responsible for many instances of kidney failure. Severe blood loss or a reduction in blood flow within the body. A serious infection of the heart. Kidney Cancers for example Wilms tumour and renal cell carcinoma. Cancers of the urinary system. Oedema or swelling which may be evident around the eyes or in the face, abdomen, wrists, ankles and thighs. Pain in the middle of the back just below the ribs where the kidneys are positioned. Treatment will depend on the kidney disease that manifests. Once the disease is diagnosed early, treatment is usually more effective and will lead to a better prognosis. Drug therapy, dietary alterations and restrictions, and surgery are some of the more common methods available for treatment. If the kidneys have deteriorated significantly a dialysis machine may be used to perform the filtration function of the kidney. A kidney transplant may be performed if the kidney’s have been extensively damaged. If diabetes and high blood pressure are the factors causing kidney impairment then they will have to be controlled with the required course of treatments.